Two officers of the Royal Armed Forces contingent in the United Nations Organization Stabilization Mission in the Democratic Republic of the Congo (MONUSCO) were decorated on Friday in Kinshasa for their precious services rendered to the mission. They are Colonel Mohamed Treha and Commander Rachid Briech, according to a statement by the Moroccan embassy in the DRC, noting that the tribute paid to the two Moroccan officers took place on the occasion of the medal ceremony for the Ghanaian battalion in MONUSCO, marked by the decoration of several officers of the mission. The ceremony was attended by Moroccan ambassador to the DRC, Rachid Agassim, head of the MONUSCO, Leila Zerrougui and several senior military officials from MONUSCO and the Congolese army. 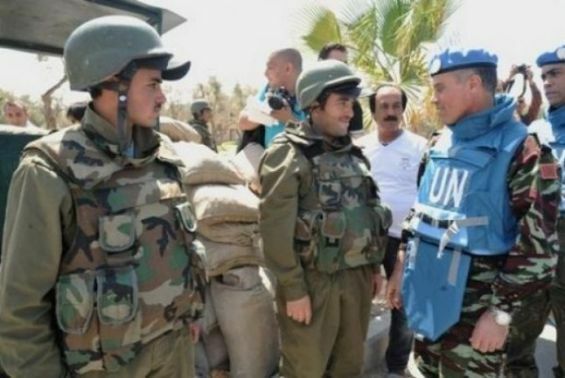 The Kingdom of Morocco is one of the major force providers within MONUSCO with a contingent of more than 1300 troops. The Moroccan military enjoys a very good reputation both in their regions of deployment and with the DRC authorities.